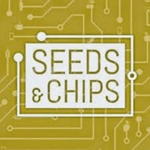 Seeds&Chips - The Global Food Innovation Summit is the top Food Innovation event worldwide. We are dedicated to showcasing national and international talent and cutting-edge solutions from around the world. Our vision and our values have pushed us to find solutions and bring the ecosystem together to truly discuss and show possibilities that can have a long-lasting impact on our planet’s future as well as on our daily lives. We believe that only by joining forces we can tangibly effect change.